Cathering and Greg Hughes welcome a new baby. Wonderful news for vaccination campaigners Catherine and Greg Hughes. A year and a half ago Catherine and Greg Hughes’ world changed when they lost their four-week old baby boy Riley to whooping cough. Just days after he started coughing Riley died, devastating the small family and waking many Australians up to the importance of getting a whooping cough vaccine during pregnancy. Olivia Hughes and her little brother, Riley. Via Facebook. But with the love for their baby in their hearts the couple moved forward working in his name to help defeat whooping cough. Over the weekend the couple, who have gone through so much, shared some happy news with the announcement that their third baby, a daughter had arrived. Catherine and Greg Hughes told followers on the Light for Riley Facebook page that their “hearts are bursting with pride”. Catherine Hughes shared her happy news. Image via Nine News. Catherine and Greg’s baby son Riley died from whooping cough after Catherine was not informed that when pregnant she should be given the vaccine to protect her unborn baby. In March 2015, too young to be vaccinated yet, Riley died days after contracting a cough. Within days of his death, Mrs Hughes set up the Light for Riley Facebook page to share Riley’s story to prevent more pertussis deaths. Riley’s death directly led to pregnant women across Australia now routinely offered a free whooping cough booster. Riley Hughes died aged just four weeks old. Via Facebook. But to her shock, during her most recent pregnancy Catherine told followers that in her seventh month of pregnancy she still had not been told of the vaccine. "If I had been offered that in my last pregnancy then my child would probably have survived,"
"I&apos;m still waiting for my antenatal health care providers to mention that vaccination can decrease the risk of severe pregnancy complications, stillbirth and premature birth. 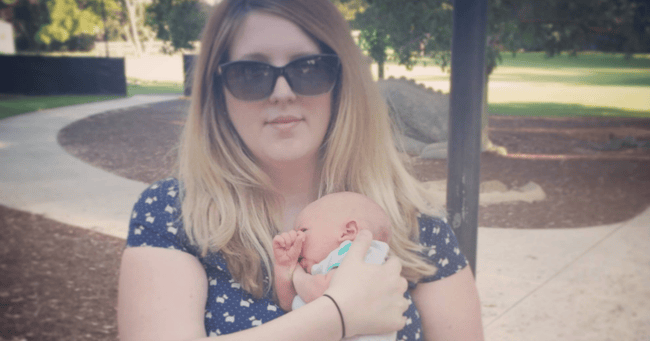 "I&apos;m still waiting for them to mention the importance of getting vaccinated against whooping cough, because it can kill newborn babies as it did my last. "There has been not one word. Not one brochure. Just like last time,"
A few weeks later she posted an update that she had now received her vaccine. Congratulations to the happy family on the birth of their daughter. Catherine and Greg talk about the importance of getting the whooping cough vaccine.